What was the Commendation Ceremony? What exactly was a fief? Fief Definition: In Medieval feudalism a fief was a vassal's source of income, granted to him by his lord in exchange for his services. The fief usually consisted of land and the labor of peasants who were bound to cultivate it. The income the fief provided supported the vassal, who fought for his lord as a knight. Dignities, offices, and money rents were also given in fief. A fief was basically a favor awarded to a vassal. A fief was primarily the land held by a vassal of a lord in return for stipulated services, chiefly military. What was a vassal? 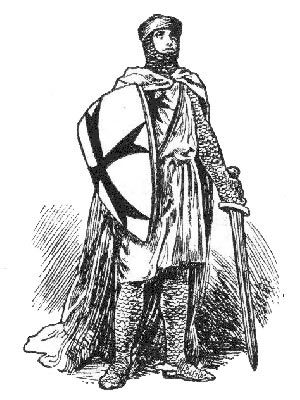 A Vassal or Liege was a free man who held land ( a fief ) from a lord to whom he paid homage and swore fealty. A vassal could be a Lord of the Manor but was also directly subservient to a Noble or the King. The Medieval Fief and Feudalism - Who granted the Fief? Who received the Fief? What was the Commendation Ceremony? During the Middle Ages the fief would be granted by the King, or overlord and the recipient of the fief would be one of his vassals. The fief, or land, was usually granted following a Commendation Ceremony. The commendation ceremony was designed to create a lasting bond between a vassal and his lord. Fealty and homage were a key element of feudalism. The ceremony consisted of the recipient of the fief swearing the Oath of Fealty and undertaking an act of homage to his lord. Feudalism was a Pyramid of Power. But it was possible for everyone to move higher up the ranks of the pyramid and this is what everyone aspired to do. The vassal might therefore become an overlord, granting part of his fief to one who then became vassal to him. The Medieval fief of the Middle Ages originally had to be renewed on the death of the lord or the vassal. However as time went on it became customary for the heirs of the vassal to inherit the fief. The fief therefore became hereditary. Each section of this Middle Ages website addresses all topics and provides interesting facts and information about these great people and events in bygone Medieval times including Fief. The Sitemap provides full details of all of the information and facts provided about the fascinating subject of the Middle Ages!